I first discovered Terry Urban after reading this story about his release of Southerngold. The mixtape is described on his site as: “…a concept album, which lays beats based on samples from Santigold’s excellent debut album underneath vocals from southern rap hits by the likes of Rick Ross, Lil Wayne, and Young Jeezy.” I listened to it not long after having discovered Santigold and immediately fell in love with it to the point where it is still in heavy rotation for me and listened to more than Santigold’s original. After this discovery I hungered for more and searched until I found Terry’s official site. I then downloaded every mixtape he’s made available including one that’s gotten him much acclaim. In Viva La Hova he mashes up Jay Z and Coldplay along with the help of his partner Mick Boogie where he garnered props from both Chris Martin and Jay Z. 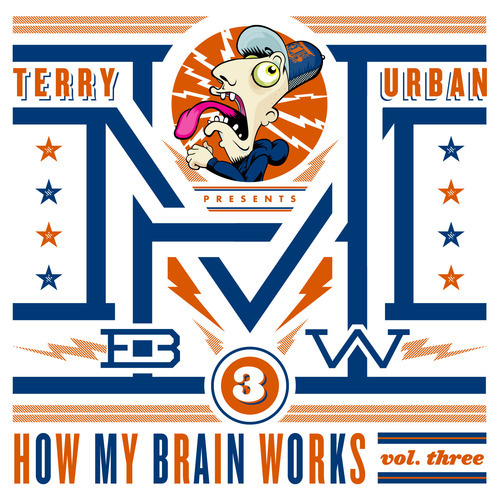 Today I came across this interview with Terry discussing his latest release How My Brain Works Vol. 3 where we learn a little bit about how he got started Dj’ing, has spun records at parties including Lebron’s 21st birthday, and what inspires him. I immediately headed over to his site to get the new release and have been listening to it all day. I can’t recommend Terry enough. He’s a master of laying down some luscious tracks and mashing up many unusual suspects together. I HIGHLY recommend you give your ears a treat and head over to his site and start adding his music to your collection. When you get to his site just click on the music link and you will see his library available for easy access.